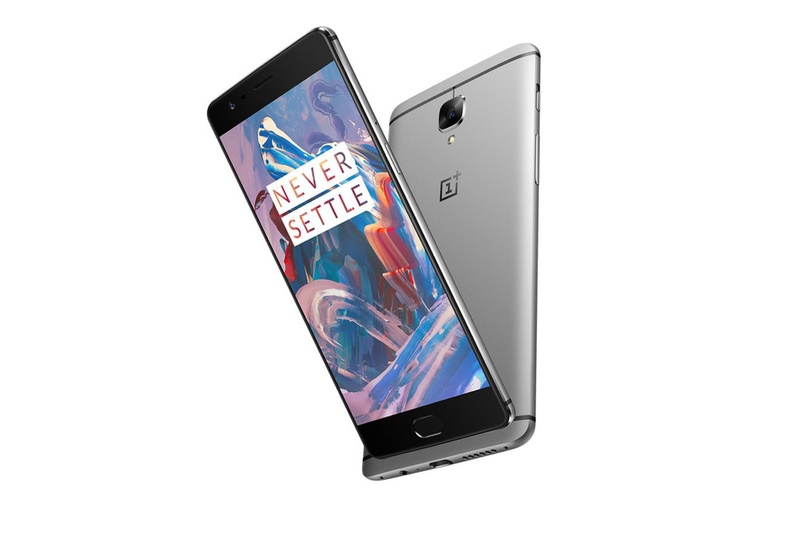 Evan Blass does it again as he releases the eagerly awaited specifications of the upcoming OnePlus 3. If he is right, then it's all good news for fans of the Chinese OEM. NFC makes a comeback to this year's OnePlus and we love that. Also, as expected, the OnePlus 3 will come equipped with the mighty Qualcomm Snapdragon 820 SoC and 6 gigabytes of RAM on the premium variant. There will also be a cheaper 4GB variant apparently. Since manufacturing OLED panels are now cheaper than ever, it is not really surprising to see that the OnePlus 3 will be adopting an AMOLED panel for its display. The resolution has not yet been revealed, but rumors suggest that OnePlus will stick to the 1080p resolution for this year as well. 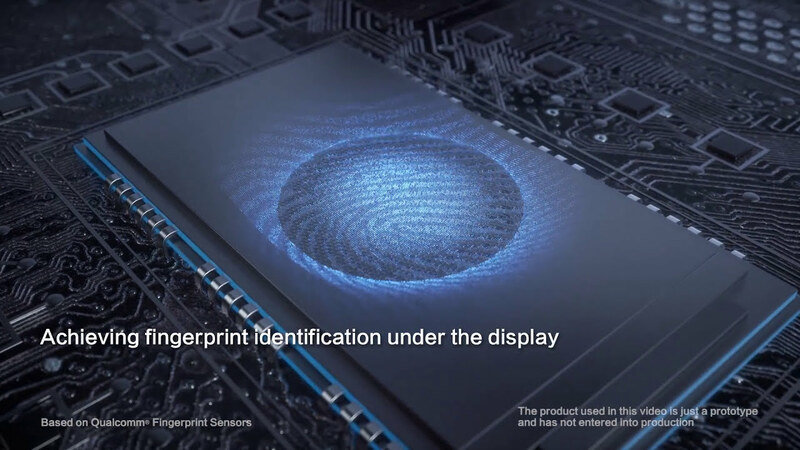 Reportedly, there will be a 3,000 mAh battery, state of the art fingerprint scanner and an USB Type-C port. What is interesting is that OnePlus might actually be testing out Android N on its upcoming flagship phone as you read this. However, it would be highly unlikely (but an excellent surprise!) for the Plus 3 to operate on Android N right out of the box. 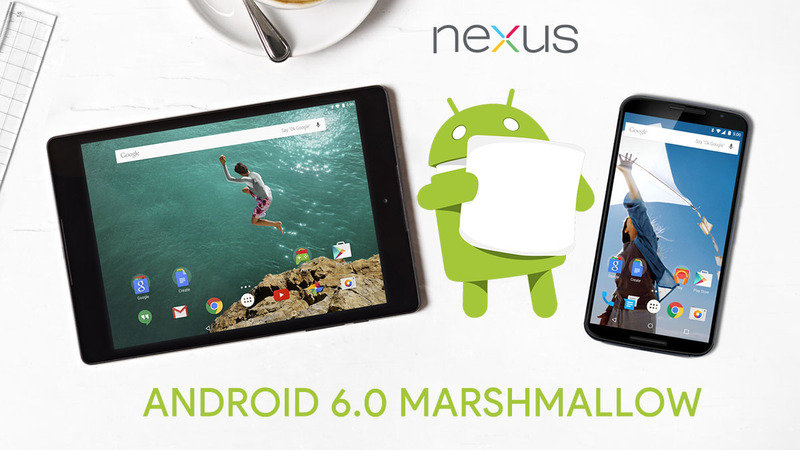 The chances of the budget flagship device running on Marshmallow at launch are far greater. 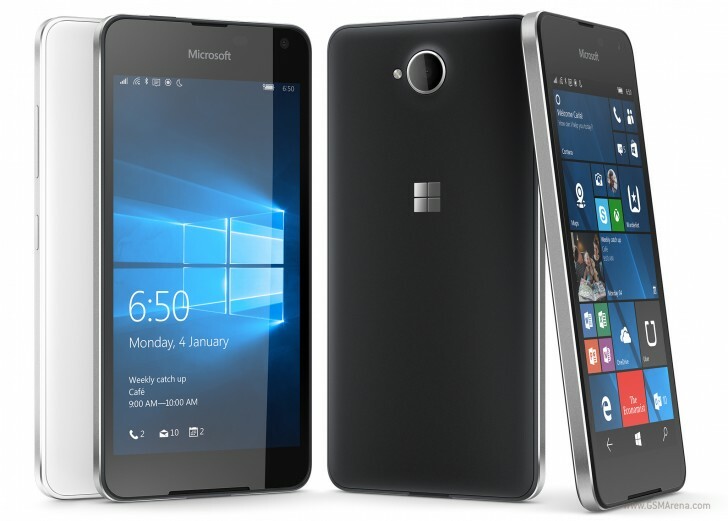 Microsoft has finally unveiled the Lumia 650 and officially confirmed the launch of the smartphone after several rumours about it surfaced in the last few months. It will come with a 5-inch 720p screen, but contrary to the predecessor Lumia 550, the 650 boasts an AMOLED display panel. Microsoft is super excited and they have gone ahead to name it as their most beautiful screen ever at this time. This Windows 10 device will be backed by the Snapdragon 212 SoC without Continuum, and its quad-core Cortex-A7 processor will be clocked at 1.3GHZ - the unique thing in comparison to the S210 in the Lumia 550. 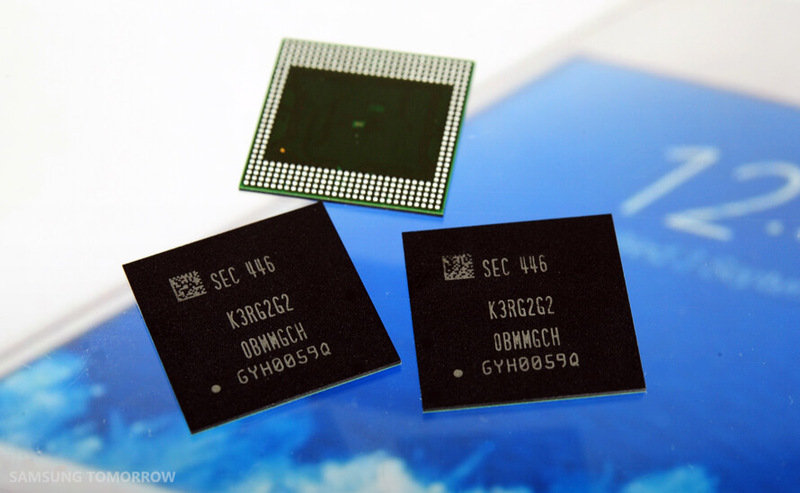 It's packed with 1GB of RAM and the 16 gig internal storage could be expanded by microSD. The primary snapper will be of 8MP (type 1/4 inch sensor, 28mm equiv. focal length, f/2.2 aperture), while the front camera will have 5MP sensor with f/2.2 lens. There are wide range of connectivity options - multi-band 2G/3G/4G, and LTE with Cat 4 (150Mbps down, 50Mbps up). It also has Bluetooth v4.1, NFC, Wi-Fi 802.11b/g/n, and GPS with A-GPS, GLONASS, and Beidou. There will also be a dual-SIM variant of the device. Radio listeners can surely enjoy the FM Radio. The Lumia 650 features solid aluminum body, replaceable back covers and comes with two color options - black and white. It weighs 122g and dimension wise it quite sleek (142 x 70.9 x 6.9mm). Its 2,000mAh battery can be replaced by the users..
From February 18th, this device will be available in some of the European markets and cost around $199 before taxes or subsidies (US dollar pricing announcement in Europe is surprising though). The CES 2015 has passed and Samsung didn't show us the Galaxy S6. 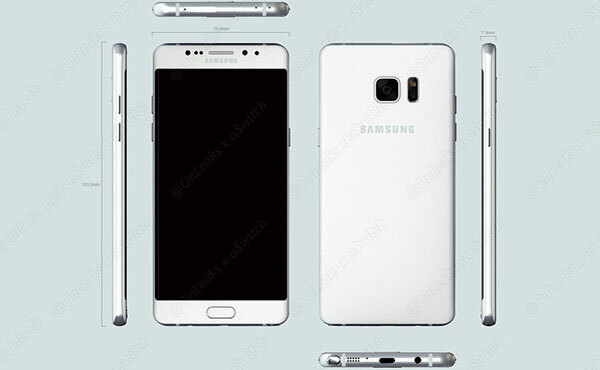 Business Insider reports confirmed that this future flagship will come in both Regular and Edge variants. The successor to the Galaxy S5 will mark yet another step in Samsung's gradual move to a more premium build, with confirmation yet to come whether that will mean a true unibody or aluminum accents. However, Samsung Galaxy S6 Edge will be a limited Edition. Hardware will most likely be region-dependent, but with the never-ending rumors of Qualcomm's problems with the Snapdragon 810, all versions may get the in-house Exynos 7420 chipset, paired with 3GB RAM. Previously speculated at 5.5 inches, it won't be surprising if the Galaxy S6 ends up closer to 5.2-5.3 inches, which makes sense. Following much criticism, Samsung abandoned the all-plastic bodies with the Alpha lineup and the latest Galaxy Note 4, and the Galaxy series will follow suit. We will also be treated to a dual edge screen version, building on the Note Edge's hype. The speculated unibody of the regular Galaxy S6 will however result in the loss of the beloved replaceable battery, that's been a strong selling point of the lineup. 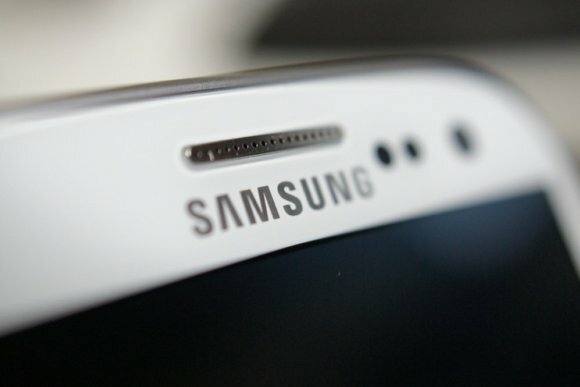 It looks like Samsung has finished working on it's upcoming flagship, the Galaxy S6. According to confirmed reports from Business Korea, Samsung Galaxy S6 has entered Trial production on Samsung's Vietnamese plant, the device will enter Mass production starting Next month. Samsung will be revealing the Galaxy S6 on the MWC 2015 on early March. The flagship will be Available on two variants, Regular and Edge. 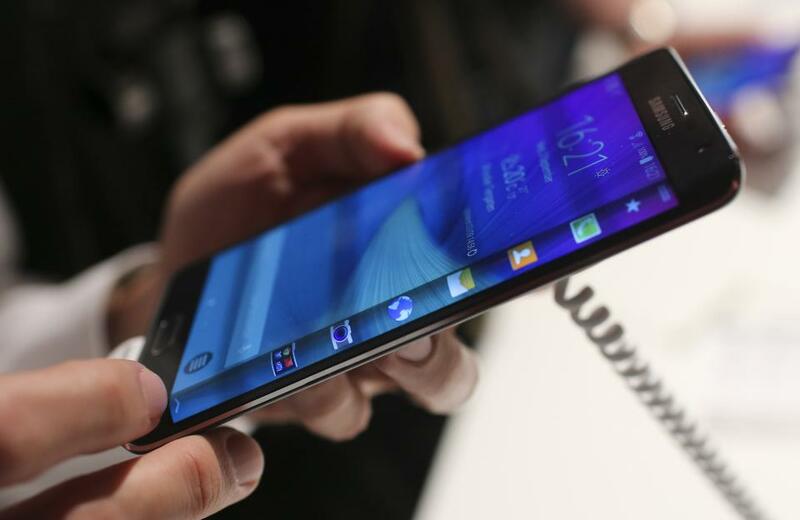 The Galaxy S6 Edge will pack the same specs as the regular but with a curved screen. 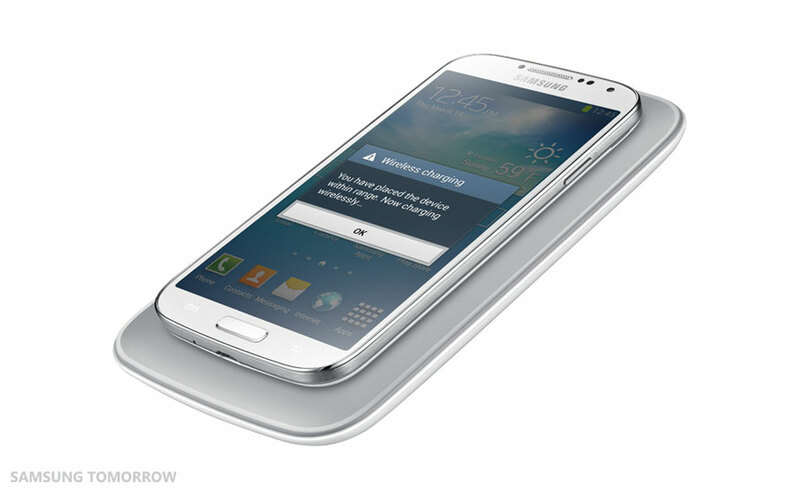 Samsung hinted on it's newest official blog post that the Galaxy S6 will feature a built-in wireless charging, actually the company hinted that its whole 2015 Galaxy line-up will feature wireless-charging. Blessing us with a unibody phone, which will be a first for the Galaxy S line, Samsung has apparently decided to compensate for the sealed battery compartment with highly efficient inductive charging for the Galaxy S6. This might also have something to do with the famed rich accessory ecosystem that Samsung is reportedly prepping around its new flagship. The latest blog post from Samsung, which shines a spotlight on the wireless charging standards, history, and latest developments, is another hint in that direction, so we can't wait to see how the company has managed to embed wireless charging in a metal unibody. 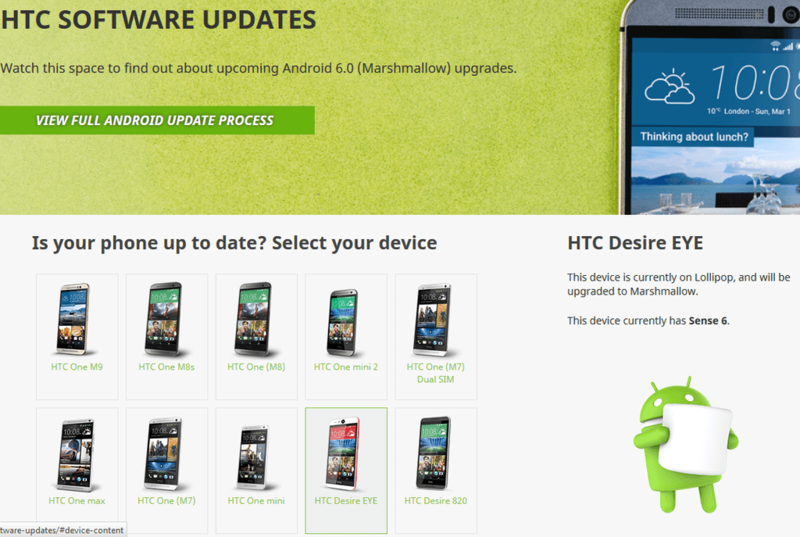 HTC has already announced its official list of devices that will get Android 6.0 Marshmallow few days ago. Now, we can update this list by adding a new device to this list. HTC has confirmed that HTC Desire EYE will receive the Android 6.0 Marshmallow with Sense 7.0 UI on top. The update is getting closer in Q1,2016 with lots of other devices on the Desire line. Today, HTC UK confirmed via a Tweet from its official Twitter, that "the New HTC One" will be unveiled on March,1st. The Taiwanese company will held a major event on the first day of next month to release its upcoming long-rumored flagship HTC One M9. 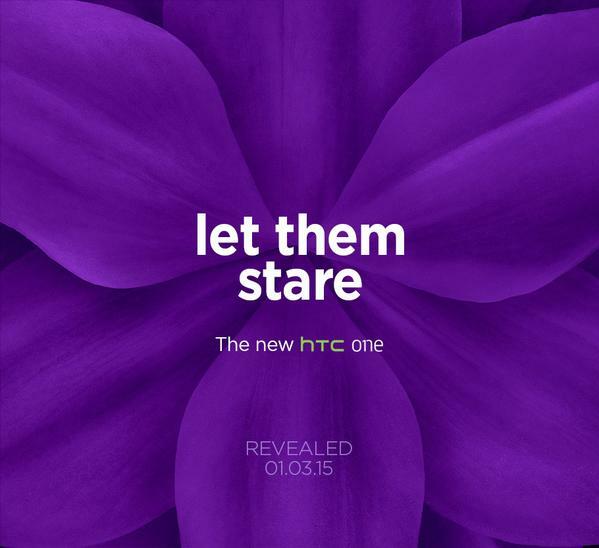 Last month, HTC sent out invites for its MWC 2015 event scheduled for March,1st in Barcelona. However, it didn't say what exactly the event would focus on, even though it was fairly reasonable to expect that the Taiwanese company would unveil its next generation flagship. 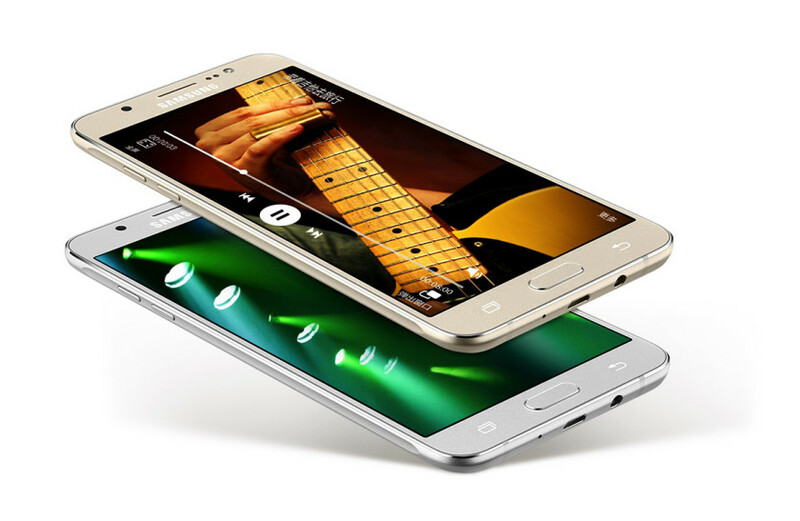 The Galaxy J-series has received an overhaul as the J5 and the J7 was re-launched a few weeks ago in China with new and improved hardware. Starting from April 29, the two smartphones are now also available for purchase in Samsung's own country of origin, South Korea. The 2016 versions of the J5 and J7 will be offered in two colors, black and gold. KT is the only network which has the new J5 and J7 right now. 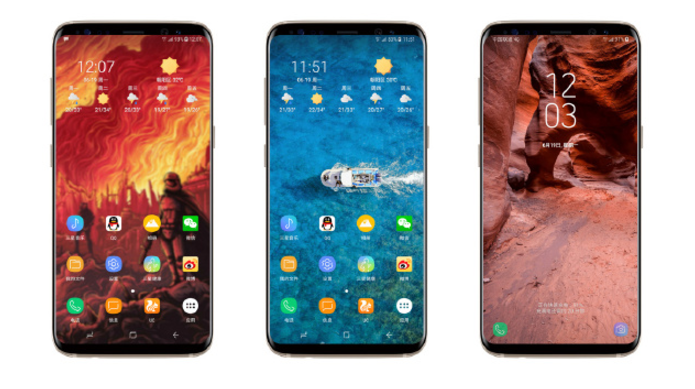 This has been Samsung's strategy with their not-so-popular smartphones for a while now; offer limited color options and make the models available only via a single carrier. The 2016 variant of the J5 features a 5.2" HD (720p) Super AMOLED display and is powered by a 1.2 GHz chipset with four cores. Backed up by 2GB of RAM, 16GB of in-built storage and a 3,100 mAh battery, the J5 will be running Android M right out of the box. It also sports a 13-megapixel snapper at the back and a 5-megapixel front camera to satisfy selfie demands. The highlight of the 2016 version is its metal design, which holds true for both the J5 (2016) and the J7 (2016). Other than being powered by a slightly faster quad core processor which is clocked at 1.6 GHz, the new J7 shares the same 2GB RAM, 16 GB in-built memory and 13-megapixel/5-megapixel snappers with the J5. The J7 (2016) does sport a bigger battery (3.300 mAh) and a larger screen (5.5" 720p) though. 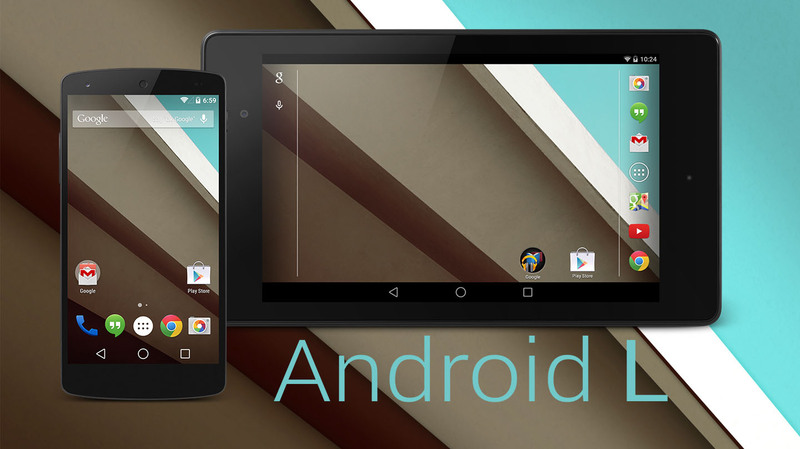 The overlaying UI will be based on Android M, same as its smaller brother. After considering that both the smartphones share almost the same hardware, one may wonder if the J7 (2016) is really worth the extra money that it asks for. In our opinion, the J5 (2016) priced at 290,000 won/$254 is probably a better buy than the J7, which is priced at 363,000 won/$318. If you were waiting for something a bit more budget-friendly, the J3 (2016) is also scheduled to be launched in South Korea soon. Firstly, there's the news leaked by @evleaks which suggests that the upcoming Note 7 will sport a "Blue Coral" variant for the first time. More interestingly, @evleaks also confirmed that there will be an iris scanner on the Note 7, just as previous rumors had us believing for a long time. Secondly, latest reports from China confirm a lot of the other hardware specifications that were expected to be a part of the Note 7. The next Note may indeed sport a Qualcomm Snapdragon 821/823 SoC, coupled with 6GB of RAM and a choice of internal storage that may range in between 64GB - 256GB. Of course, there will also be an Exynos variant of the smartphone that will sport the Exynos 8893 SoC instead of the Qualcomm chip. Other expected features that were confirmed by the leak include a 5.7-inch 1440p (QHD) Super AMOLED panel, a 12-megapixel rear camera with dual-pixel phase detection, a 5-megapixel selfie cam, a SD-card slot and a fast charging battery with the capacity of 4,000mAh. Everything is expected to run smoothly on a fresh, minimalistic version of the TouchWiz UI, powered by Android Marshmallow 6.0.1 and not Android N, as rumoured previously. There's also the IP68 certification for water resistance and the first USB Type-C port from Samsung. Let's see how much of this matches up to the actual Galaxy Note 7 when it's released in August. 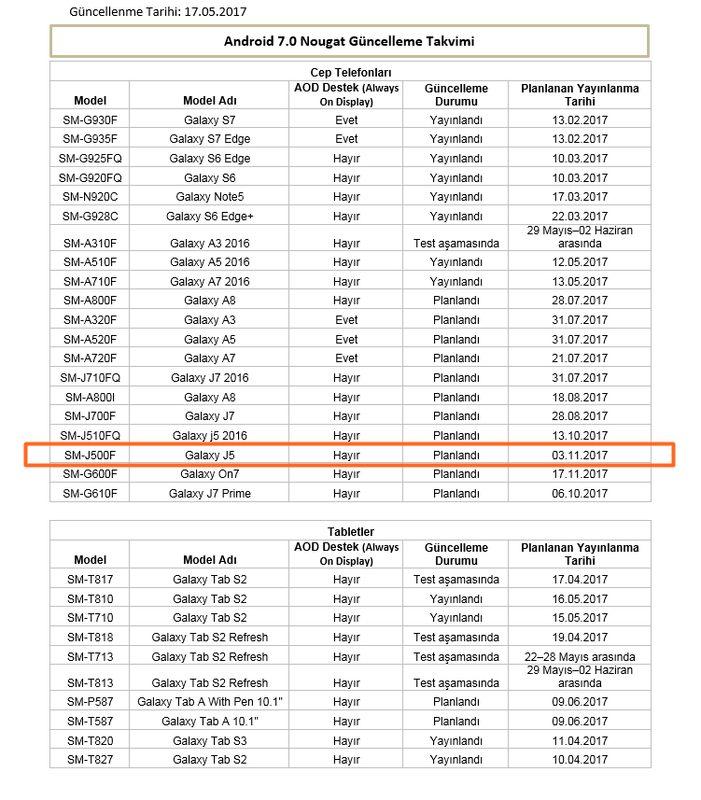 Although there was not an iota of doubt regarding existence of the soon to be launched Samsung Galaxy S7 edge (or its name), an official confirmation from Samsung's own website is surely an important thing before the launch. They recently added a new page about the edge screen features on the website where the company lets developers download SDKs and other similar development kits. This page is not only dedicated to description the edge screen features, but also used to show the devices in which they will be used. 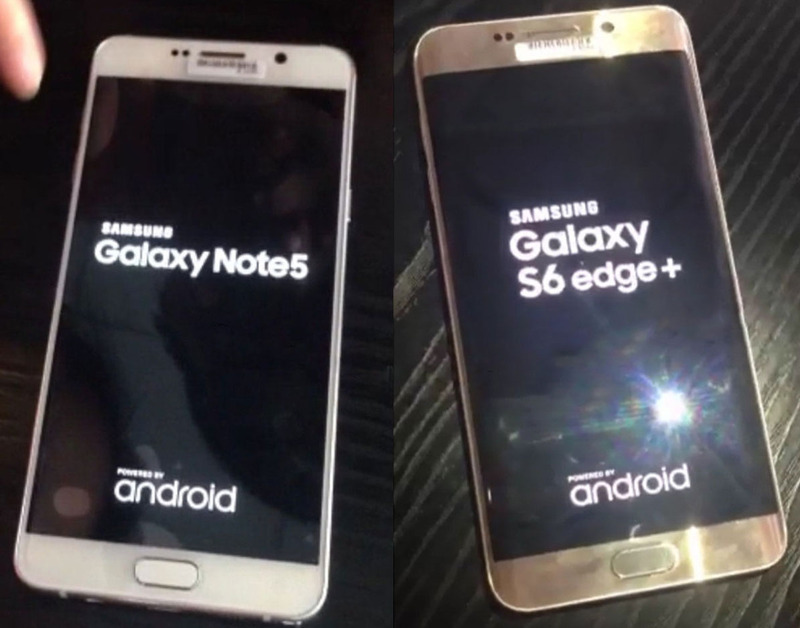 The most likely candidates, the Galaxy S6 edge and Galaxy S6 edge+ are listed just like the Galaxy S7. 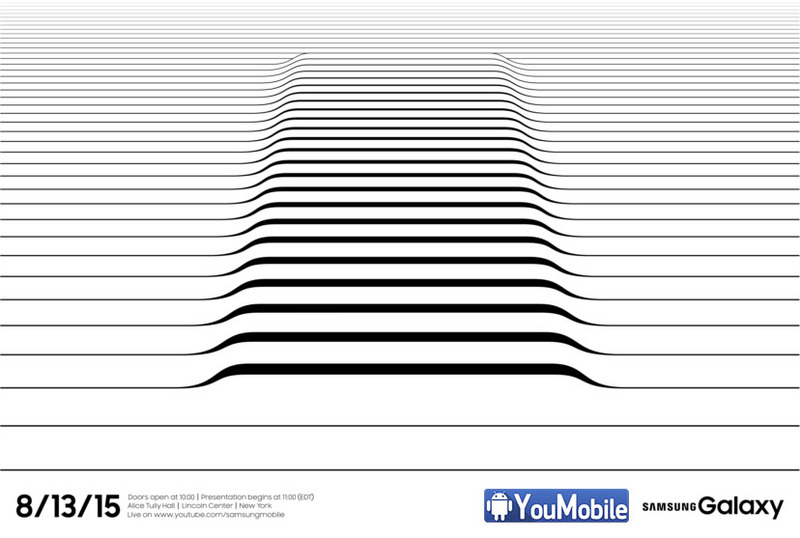 Hence the existence of the flagship device along with the name is officially confirmed. 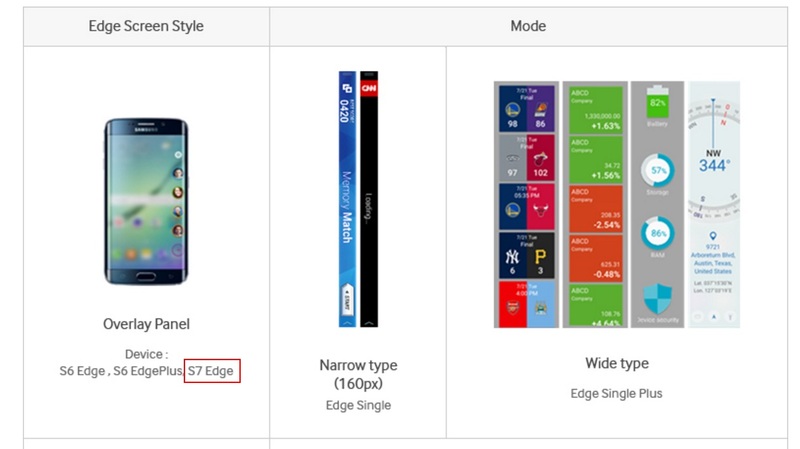 Apart from this, new edge display functions, which are matching with the S6 edge models's display features after getting the Android 6.0 Marshmallow upgrade, have also been displayed on the website. Adjacent to the normal, narrow edge panels (‘Edge Single'), wider type (‘Edge Single Plus') panels will be added which will show more information and functionality. Those who loved the extensive functionality of the edge display panels present in Galaxy Note Edge, would sure love these wider edge panels in this smartphone. It is nice to know that Samsung is proactive when it comes to finding fresh and and improved ways use the most popular features that came with nice aesthetics, but didn't score much in terms of functionality. It looks like the Galaxy S7 edge is moving in the right direction. The press conference which was held to reveal the details of Samsung's probe into the reasons behind the Note 7's fire hazards, turned out to be quite revealing in certain other areas as well. Apart from stating that the batteries were indeed the culprits behind the disaster, Dong-jin Koh also confirmed that a Note smartphone will indeed be released (hopefully in 2017). This revelation came in alongside the declaration that the S8 will be withheld from the MWC in February. If you are wondering whether or it will be called "Note 8," consider the fact that Dong-jin Koh himself stated this; "I will bring back a better, safer and very innovative Note 8." Keep in mind that the final name on release can be very different and Koh could only be using the name to make his point in a direct manner. Just in case you are wondering as to why "Note 8" may not be chosen for naming the Note 7's successor, know that Samsung already has an old tablet with the same exact name. Additionally, some experts have predicted that Samsung could go with something different in order to get away from the bad reputation which its predecessor acquired for the Note series. Koh Dong-jin, also known as DJ Koh is the President of Samsung Mobiles and he seems to be on top of the news recently with authentic "leaks." Not that we can really call them leaks, given that he is the boss himself! In spite of the rumors stating that late August would be the date for the Note 8's launch, there was no official word on it until today. During his travel within Asia for the purposes of the Galaxy Note 8's release, he has stated that the Note 8 will be launched in August and released in the UK, US and other specific nations in September. There will also be an unlucky list of countries that will have to wait till October to get the device. While at this point we more or less know all that there is to know about the Galaxy Note 8, it would be interesting to see if Bixby Voice makes it onto the handset by the time it's released. Keep in mind that we are talking about the English speaking countries because the voice functionalities of Bixby are already working fine in South Korea on the Galaxy S8 and S8+. After years of speculations, we finally have something official to speak about the topic. During the press conference in Korea where the Galaxy Note 8 was launched a few days ago, President of Samsung Mobiles, DJ Koh went on and said the following lines. "We have a plan to adopt a foldable display in our roadmap. We are currently addressing some technological hurdles to commercialize such a device. We will launch a foldable device when we are fully ready, and we are aiming to do so next year..."
Granted, it's only a plan according to the statement, but it isn't very unlikely that this plan will finally come into fruition in 2018. The reason I think so is because he said it out loud in a press conference. Would the President of Samsung Mobiles have declared it to the press if it wasn't all but confirmed? That would be unwise and the CEO of Samsung Mobiles is not unwise! 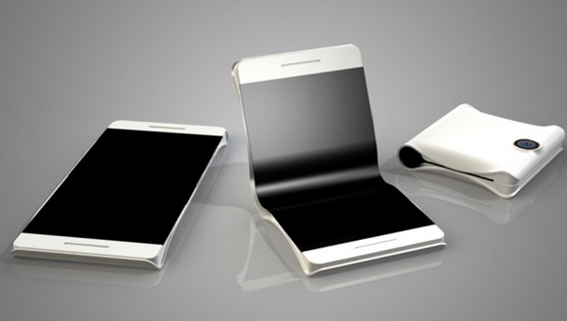 The question is, will Samsung be launching a new line of handsets with foldable displays or will they just incorporate it into their existing flagship lineups? What do you think? Tags: evan blass just confirmed specs oneplus microsoft lumia 650 confirmed aluminum body windows $200 confirmed samsung galaxy launched two versions confirmed exclusive samsung galaxy enters production announced mwc 2015 early march samsung confirmed built-in wireless charging galaxy confirmed samsung galaxy note pack 4gb lpddr4 ram chip official samsung galaxy unpacked 2015 event august 13th note announcement confirmed htc desire eye confirmed get official android 6.0 marshmallow update [eta dates] official list confirmed samsung devices get android 6.0 marshmallow updates htc officially confirmed new one unveiled march 1st samsung galaxy 2016 confirmed south korea rumored specifications samsung galaxy note almost confirmed latest leak galaxy edge confirmed samsung’s official website new features displayed galaxy confirmed have virtual assistant bixby curved display confirmed leaked samsung galaxy note teaser galaxy note confirmed galaxy note launch august: confirmed foldable samsung smartphones coming 2018: confirmed koh in-display fingerprint scanner confirmed galaxy s10? The controversy regarding the 3.5mm jack is not going to go away anytime soon and while a lot of companies have decided to let it go, Samsung is not one of those manufacturers fortunately. Staying true to their promise about keeping hold of the good old 3.5mm headphone jack, the Galaxy S10 is going to have one as well. Although a prototype had earlier shown up that showed the S10 not having one, multiple casemakers have now confirmed beyond doubt that the upcoming S10 smartphones will indeed sport a headphone jack. This is good news really because if you think about it, it would practically make no sense to exclude it from any phone. In case you are not in agreement with that point of view, then let us refute two of the most popular arguments against the headphone jack. 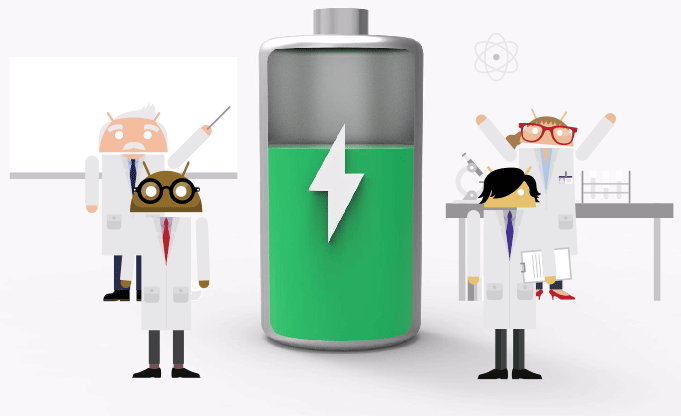 A Headphone Jack Doesn't Allow for a Bigger Battery - Most smartphones with the biggest batteries available in the market today come equipped with a headphone jack, thus negating that argument. 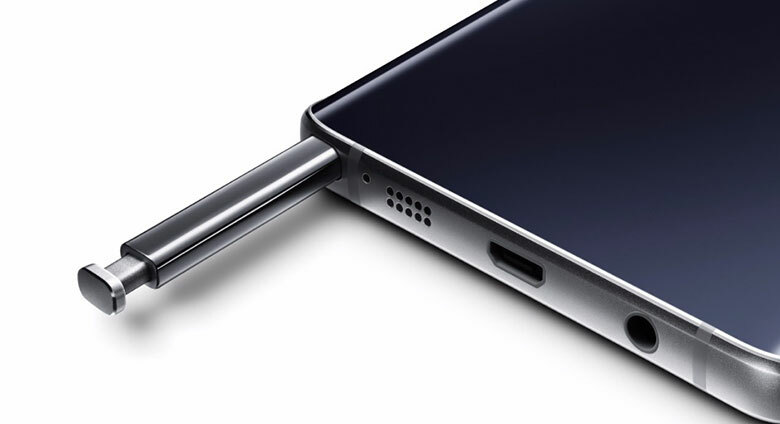 In fact, even the Note 9 sports a 4,000mAh battery, in addition to sporting the headphone jack proudly. The 3.5mm Jack is Obsolete - A technology can only be considered obsolete when something better is able to replace it completely. An example of that would be how Android replaced Symbian because it was better in every way. Removing the headphone jack on the other hand, poses a number of problems and they can be summed up as follows. If you need more convincing, then you are probably too biased to realize the truth and in that case, feel free to buy an iPhone! 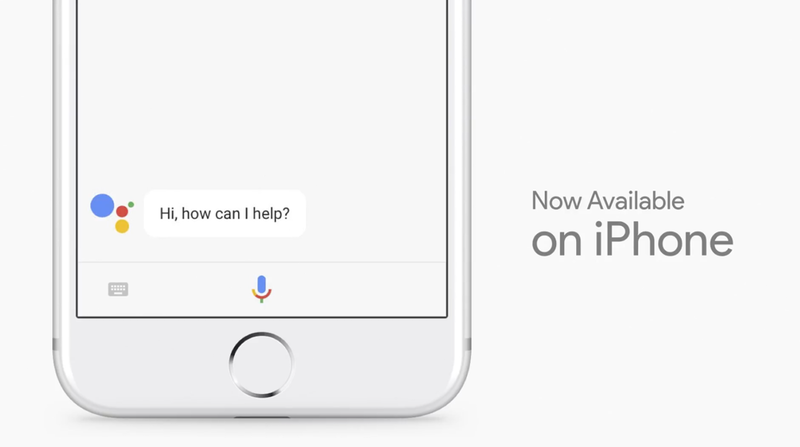 It is now official, all iOS devices will be getting Google's latest AI powered voice assistant. It looks like Siri's days of monopoly are finally over for iDevices. No date was confirmed but the news was made official at the I/O earlier. It would have come as a complete surprise, had it not been for an earlier report by Android Police which hinted at the same. According to Android Authority, "it will "likely" combine its voice command features with the chat functions found on the Google Allo version of Assistant." It would be interesting to see how they implement it on the iPhone. 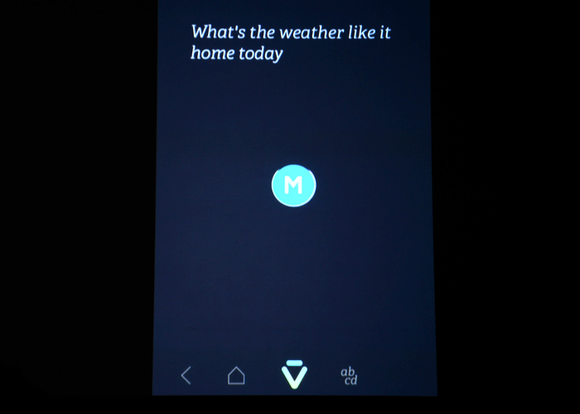 Microsoft Cortana is already available on both the Google Play Store and the App Store, but till date, the Google Assistant had been exclusive to certain Android smartphones only. It looks like the competition is about to get really hot for AI assistants on both platforms sooner than we previously thought. If only Bixby (outside South Korea) had a bit more to bring to the table, things could have been even more interesting. 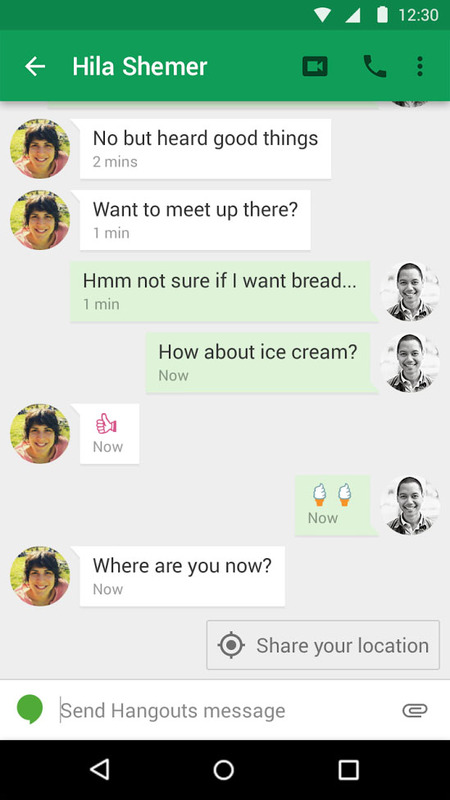 The New Google Hangouts v2.5 is Here. 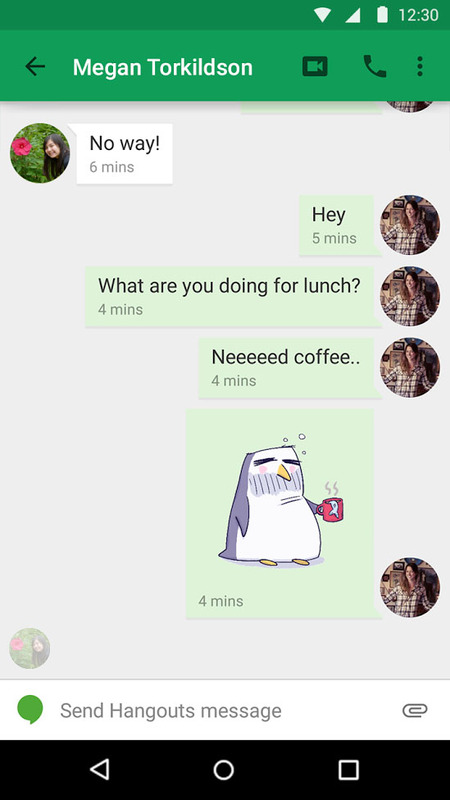 The New update adds more Material Design to the Hangouts App UI, along with some other new features like contextual tool system, Video filters and adding the confirmed number for each of your Hangouts contact. The location sharing function is the only contextual tool mentioned in this Googler's Plus post, but presumably this functionality could be extended in other ways. 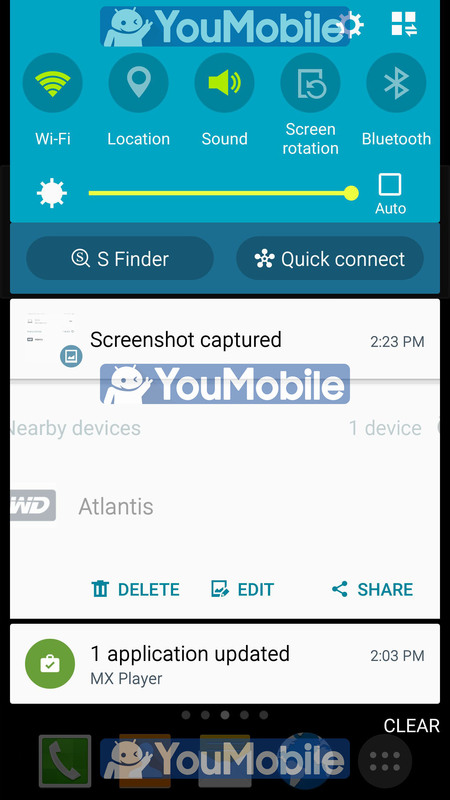 "Show me" could bring up a link to the camera app, for example. A revamped version of the timestamp will now show when the other party last viewed the conversation, and not just at what point. 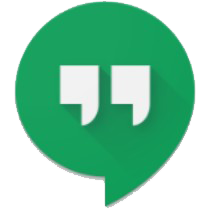 Cosmetically, Hangouts is now adding stickers. These are big, colorful alternatives to emoticons, and similar systems have likewise been seen on competing platforms. Google has posted 16 themed sticker packs, all free for the time being, for users to insert into conversations when words fail them. Video chats are also getting spruced up a bit with live filters. Simply swipe on the video feed to activate Instagram-style filters on top of the active conversation. 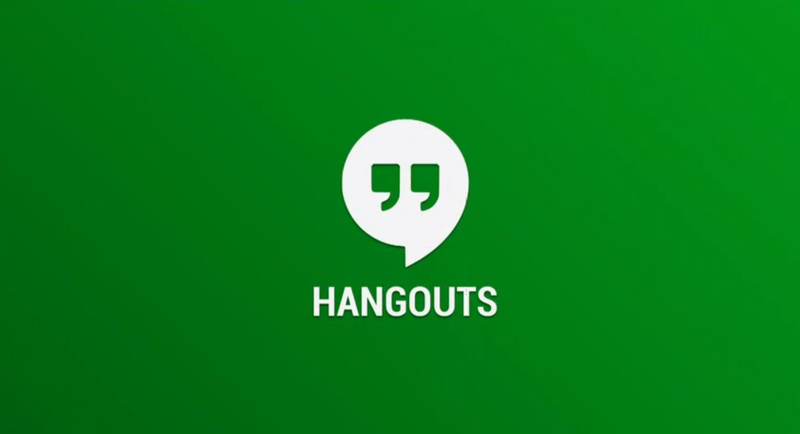 You can Now Install Google Hangouts 2.5 on your Android device from the official APK below. It's 100% safe to install. Enjoy! The iPhone SE has just been announced, confirming what rumors had been saying for months. The good news is, the rumors were spot on and Apple is indeed blessing its latest smartphone iteration with the mighty A9 chip. The 64-bit A9 chip is a combination of the dual core Twister processor clocked at 1.85 GHz and the PowerVR GT7600 hexa-core GPU. In case you did not know already, this is the same chip that powers the iPhone 6s. The iPhone SE looks very similar to the iPhone 5 and 5s, while sporting a resolution of 1136x640 pixels on its 4-inch display. The 326 ppi is not very impressive but on a 4-inch display, it should be enough. Apple seems to have gone to great lengths to ensure that the SE remains as similar to the 6s as possible in terms of features. They have fitted the same 12-megapixel iSight camera on the SE that is being used by the 6s and the 1.2-megapixel front camera actually has a retina flash to assist the user while taking selfies in particularly dim lighting conditions. If you are wondering what the retina flash actually is, then let us inform you that it's when the display itself acts like a LED flash by becoming three times brighter than its maximum allowed brightness. The in-built fingerprint scanner within the Home button now supports Apple Pay and Touch ID, but there is no 3D Touch and unfortunately, you will feel the difference if you are already used to it on the 6s. This is a mid-range device and Apple has kept the pricing somewhat affordable at $399 and $499 for the 16GB version and the 64GB version respectively. If you want one, get ready to pre-order it on March 24. You can also wait a week and buy one from the stores on March 31, when it officially goes on sale. 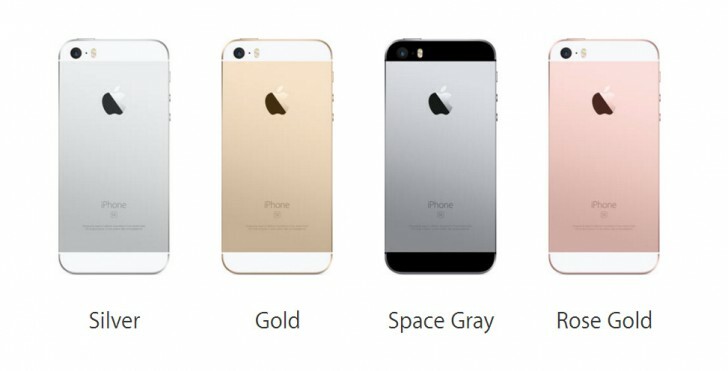 There will be four color variants for customers to choose from; Rose Gold, Gold, Silver and Space Grey. 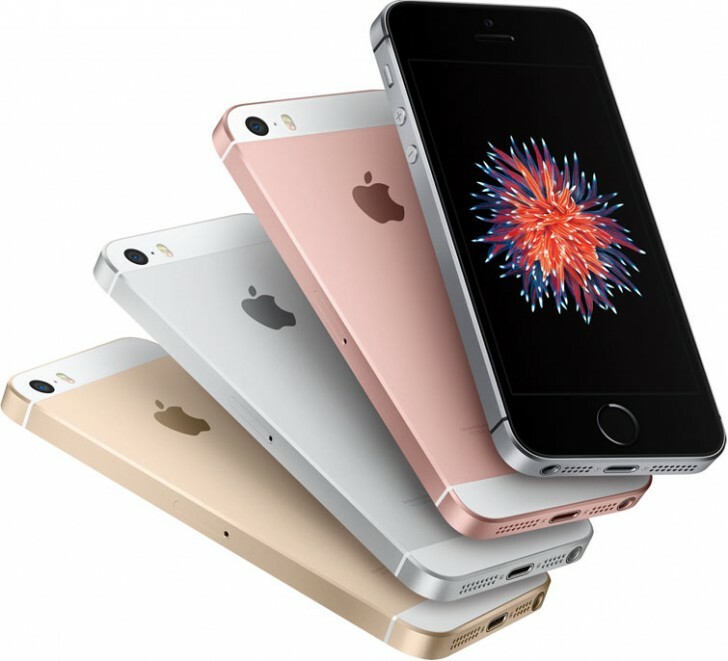 Depending on where you live, you can also buy the iPhone SE with a monthly instalment scheme or get into a contract with one of the network providers. If you are an Apple fan, we have good news for you today. According to a report by The Investor (South Korea), Samsung has just struck a deal with Apple to supply the Cupertino giant with an additional 60 million OLED panels for the iPhone 8. We say "additional" because this comes on top of the 100 million OLED panels that Apple had ordered from Samsung in a contract last year. It seems that Apple is depending on their arch-rival to provide them with the major bulk of OLED panels for the next iPhones. This is good news because of two reasons; the first and the foremost being the fact that Apple will indeed be finally switching over to OLED from LCD. Not only does an OLED display provide a better viewing experience, but they also are significantly more power-efficient than LCD panels. Secondly, the 160 million OLED panels theoretically means that the previous rumor which stated that only the most expensive Apple iPhone 8 will feature the new displays is most likely false. 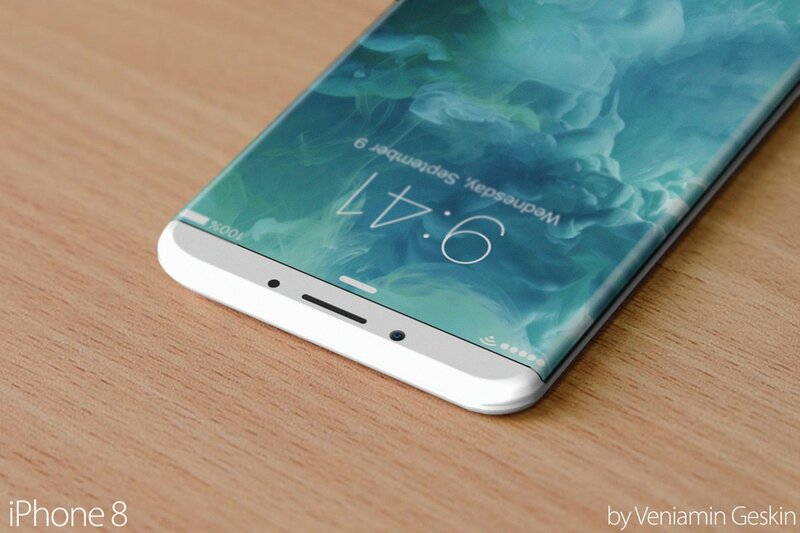 It could very well mean that all iPhone 8 variants will feature the OLED panels this year, which is definitely happy news for Apple fans around the world. 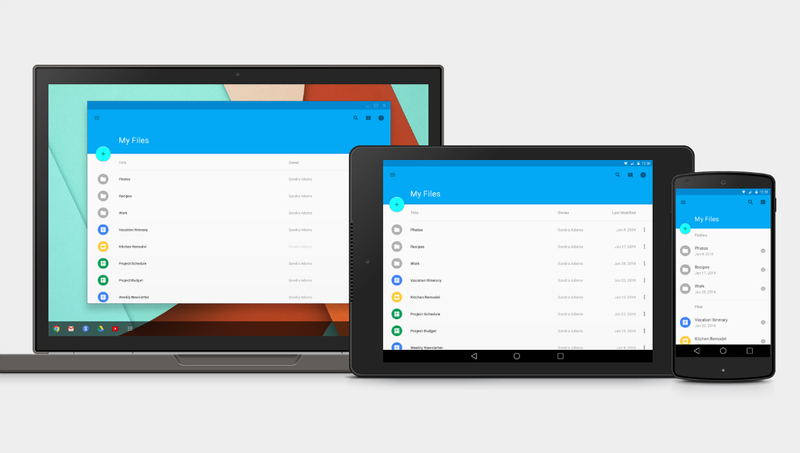 After soooo many HTC Nexus 9 rumors, we finally have a confirmation. WSJ has now confirmed from its official sources that Google and HTC are indeed working on a 9-inch tablet that will be revealed very soon. 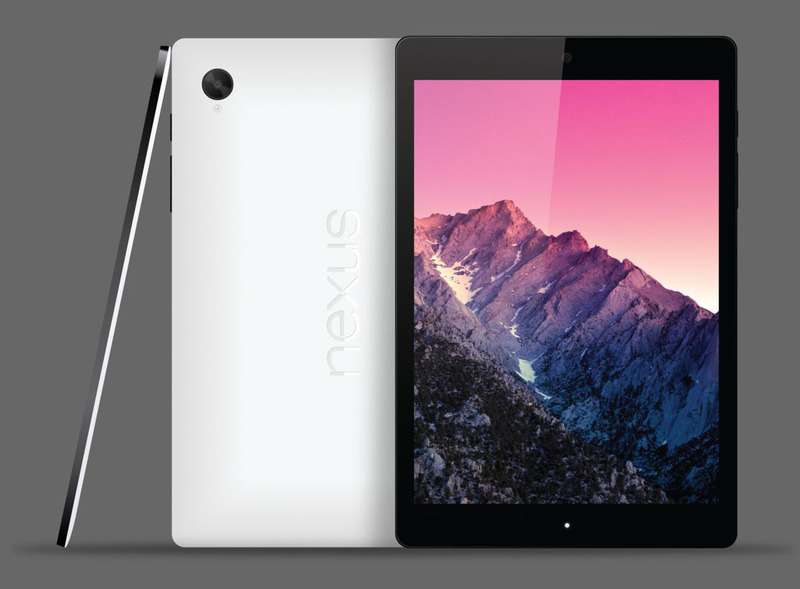 No confirmation on the market name "Nexus 9" yet. According to the sources, Google switches between brands to build the Nexus devices to prevent any one manufacturer from gaining monopoly, which should explain why it went with HTC despite HTC not having a particularly strong track record when it comes to tablets. 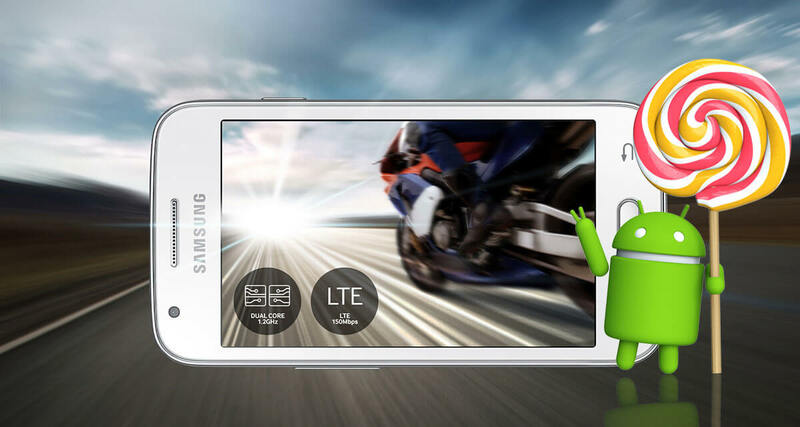 "Android is a vibrant ecosystem, and many of the industry players are doing very well. There's room for many partners to do well and to innovate with Android." The LG G3 is going to get the Android 5.0 Lollipop Update by the end of this year, according to an LG representative for the Netherlands and Belgium cited by TechTastic. He didn't give a more specific time frame, as we suspect the company is going to make an official announcement regarding its update plans. 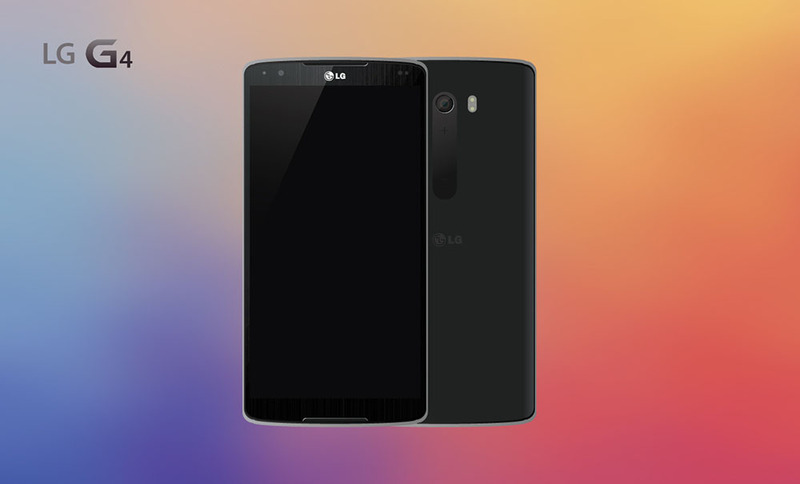 The LG G3 is probably going to be joined by the LG G Pro 2 since both are the company's flagships as of now. 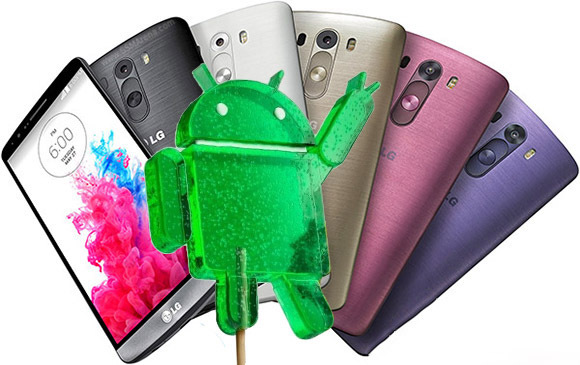 However, we suspect more devices will be blessed with Android 5.0 Lollipop goodness such as the LG G3 S, G3 Stylus, G2 and the mid-range L90 and L70. 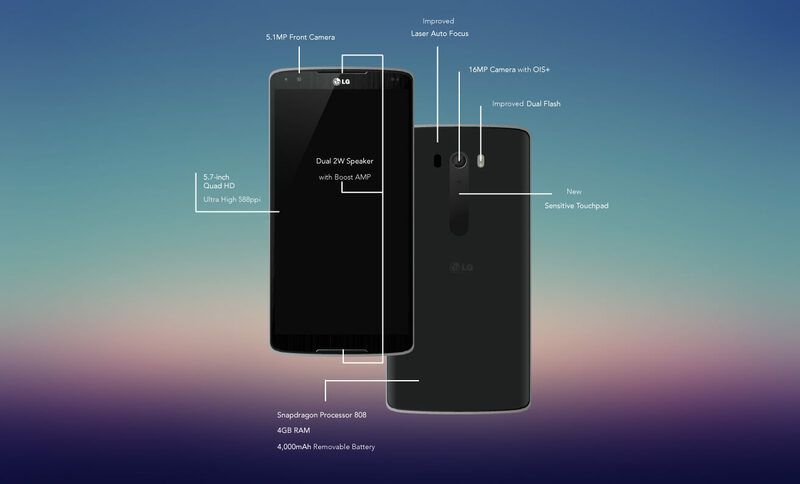 We don't know yet how LG plans to alter its most recent Optimus UI to better suit the new spirit of Android. The company likes to add a lot of additional features, so it'll be interesting to see how it manages to incorporate them in a hopefully clean and useful fashion. LG broke it's silent about its upcoming flagship, An LG exec. announced that his company won't be unveiling the LG G4 at the MWC 2015 event on March. He explained that the reason behind this decision because they want to spend more time perfecting the new phone, now comes another nugget of info about the upcoming flagship, straight from LG's conference call with investors during the quarterly earnings report. LG Mobile is apparently planning to make a big product announcement in Q2, which will likely be the G4, as its predecessor, the G3, was announced during a dedicated even at the end of May last year. The LG exec continued that with the G4, design will continue to differentiate in terms of strategy, leaving us wonder whether he means another innovative placement of the physical keys, or an outright change in housing materials, given that the S6 is widely rumored to be metal-clad, for instance. Great News for all Android fans around the world. 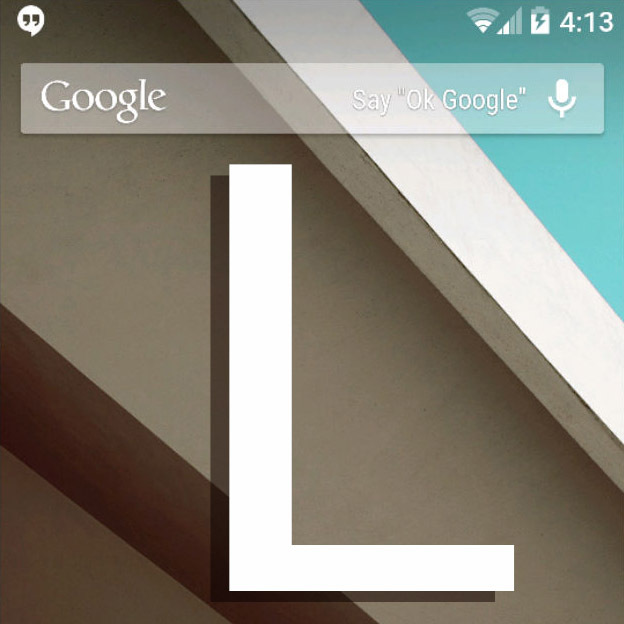 According to the latest confirmed reports, Google is getting ready to unveil the Android L Operating System officially along with some hardware, actually two new devices, the Nexus 6 Smartphone and the Nexus 9 Tablet. All this will be during an event on Mid-October either October 15th or 16th (date still not confirmed). During the event Google will announce the final release of Android L (Out of Beta) with a lot of new features and security enhancements. 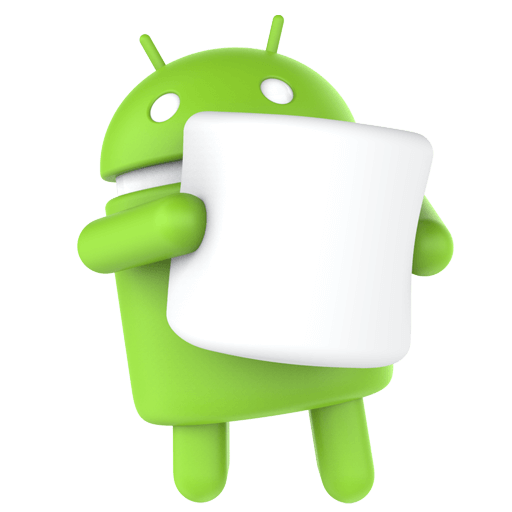 Android L will be Offiically available as an OTA Update starting from November,1st to selected Nexus and GPE (Google Play Edition) devices. Google is reportedly going to announce a New Motorola-made Nexus device with a 6-inch QHD display (Phablet) to be named the "Nexus 6". It will be a major upgrade from the Nexus 5 and will have higher specs than the new Moto X (2014) but we don't have any other info about the Specs or the price of this Moto Nexus 6. Google is also going to reveal the long-rumored HTC Nexus 9, the first HTC-made Nexus tablet with a keyboard and smart cover. 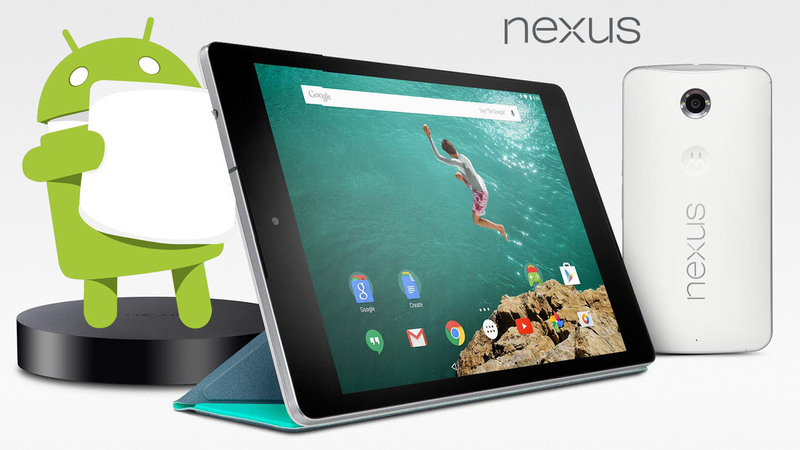 We have all the info we need about this device, you can Check HTC Nexus 9 unofficial Specifications list Here. We still doesn't know the actual market release date or the price. So let's wait those 20 days to know what Google has on its bag for us. 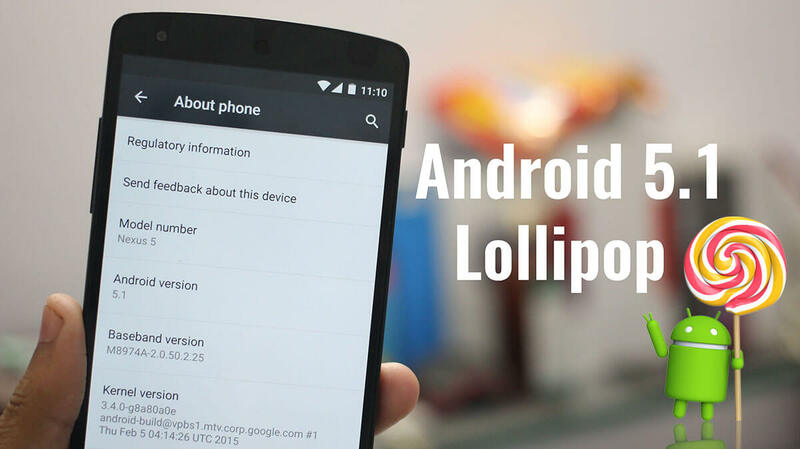 We already reported before about the Memory Leak bug in the Android 5.1 Lollipop and that Google promised to fix once and for all in the Android 5.1.1 Lollipop. 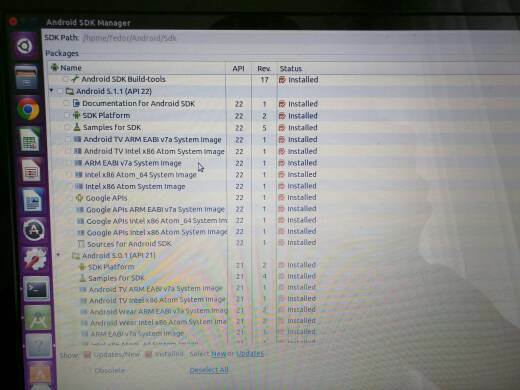 Today, Android SDK Manager added Android 5.1.1 build, which confirms that Google is getting ready to release the update. Android Developers and users are eagerly awaited the 5.1.1 release to fix this bug. Google has acknowledged that the leak existed, but also posted that the necessary repairs had been made. Google did not have everything ready to go for Android 5.1, which is why the Android 5.1.1 update is so important to many Android users. We might also see the addition of a VPN (Virtual Private Network) which would allow users to tap into a Wi-Fi network to communicate over a Google owned VPN. 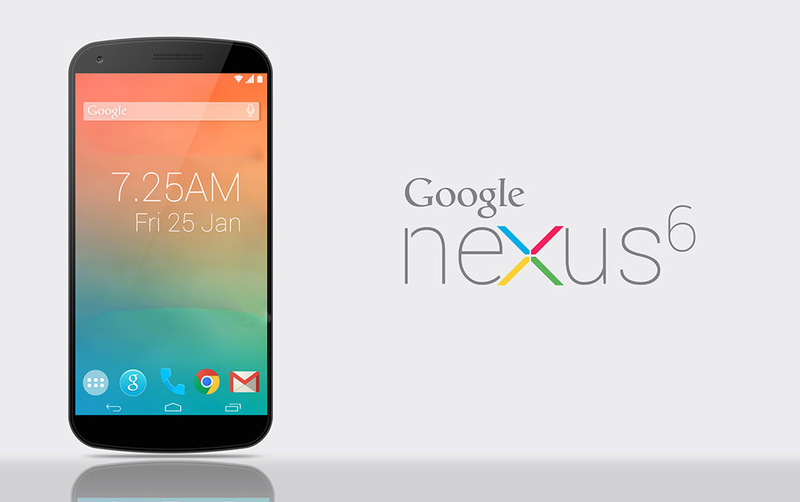 It's only a matter of days until we see some Nexus Factory images for the 5.1.1 build available for download. Over-the-air updates to 5.1.1 will also come as early as next month. Stay tuned! We already exclusively posted 3 official Android 5.1.1 Lollipop firmwares for the Galaxy Note 3 Neo (SM-N750) after waiting for more than 6 months. 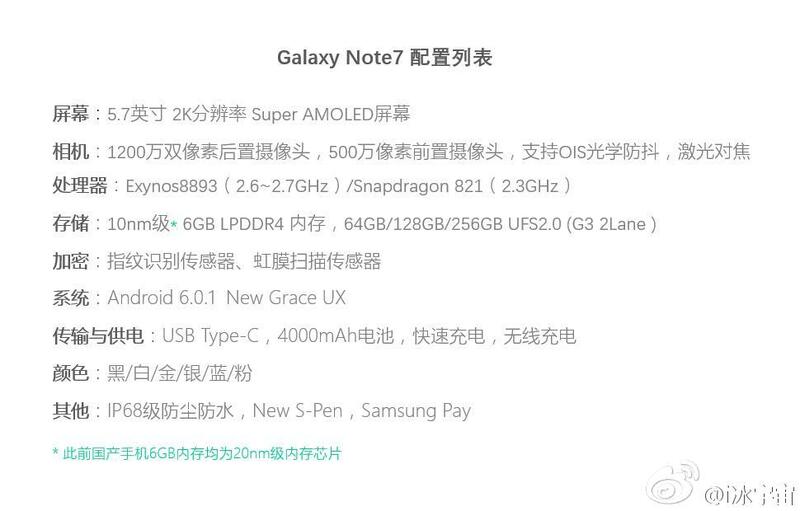 Today, SamsungUK confirmed that the Galaxy Note 3 Neo LTE+ (SM-N7505) will get Lollipop update too. The 4G-variant Galaxy Note 3 Neo LTE+ will get the same Lollipop 5.1.1 update with all the new features. The update is expected to start rolling-out in the next few weeks before the end of the year. Stay tuned! 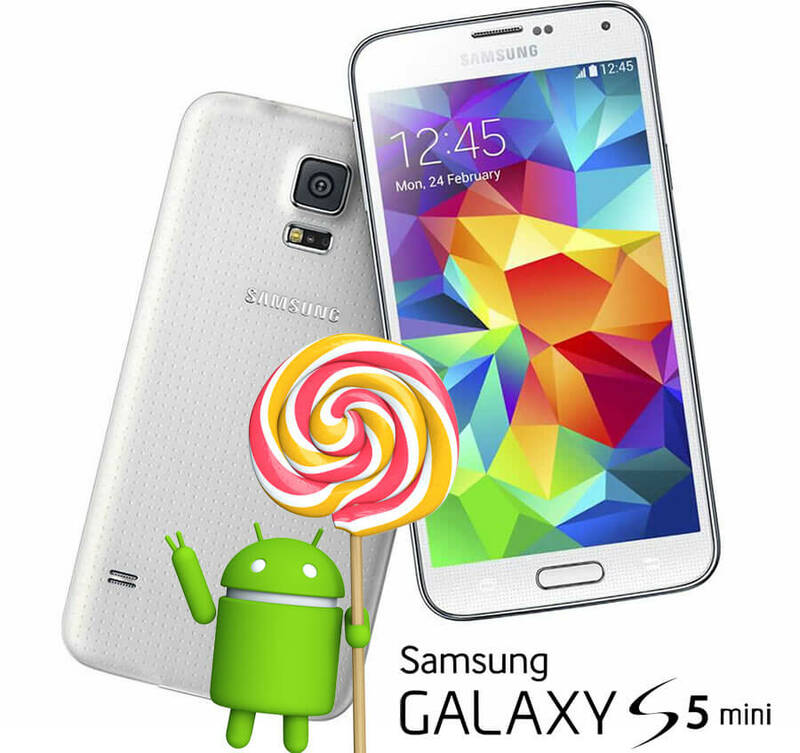 Samsung promised to update the Galaxy S5 mini (SM-G800) to Android 5.0 lollipop just like the Original Galaxy S5. Today, Samsung France official twitter account replied to a user tweet asking about release date of the S5 mini Lollipop update, Samsung FR confirmed that that S5 mini will get update during Q2,2015 (starting on April). @CyrilTroin Pour le #GalaxyS5mini, la mise à jour sera disponible au deuxième trimestre 2015 ! 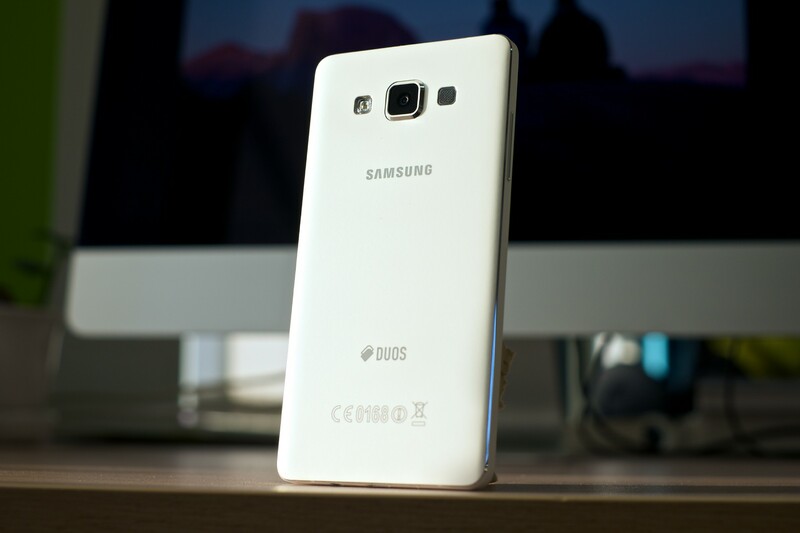 Currently, Samsung is very busy updating the original variant of the Galaxy S5 along with the S5 Duos version too. The Update will brings the latest TouxhWiz UI with Material Design, new lock-screen, removing bloatware apps and improving the performance of the device. 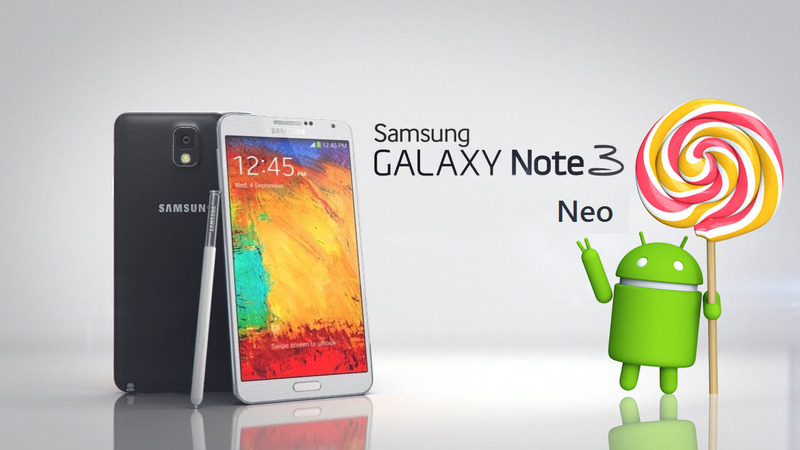 Samsung Galaxy Note 3 Neo (SM-N750) users are waiting on fire for their Android 5.0.1 Lollipop update, Our sources told us that the Galaxy Note 3 Neo firmware is currently under Initial testing which tests if the hardware components performance of the smartphone fits with Lollipop or not. Today, Samsung France has just officially confirmed that the Galaxy Note 3 Neo will get the official Android Lollipop update, via a tweet on their official twitter account, so we guess that the initial testing went smoothly GOOD! 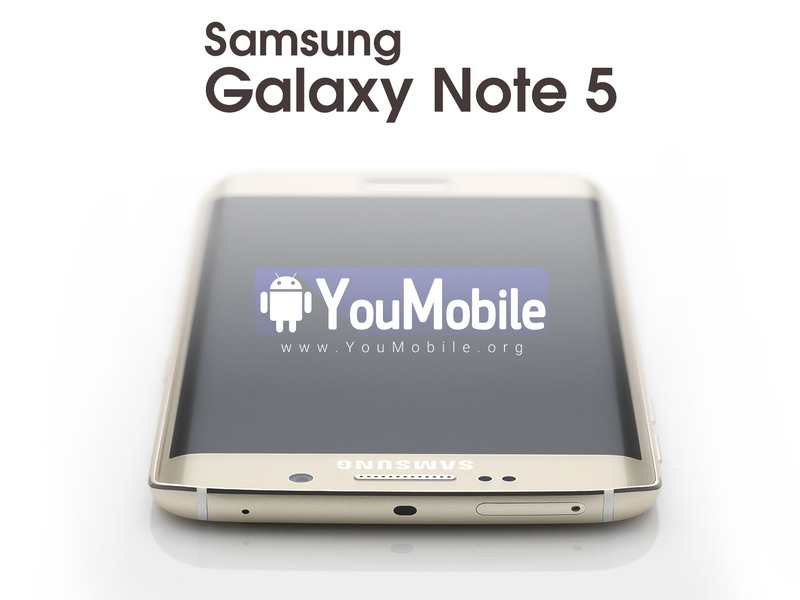 Samsung Galaxy Note 3 Neo (SM-N750) is expected to get the Android Build 5.0.1 update during this quarter (April - May - June). 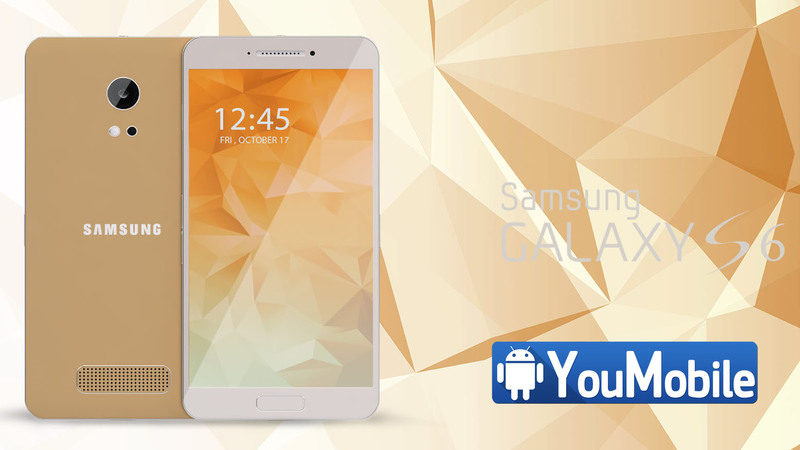 The firmware will be very similar to the original Galaxy Note 3 one, with new TouchWiz UI and all the Lollipop goodies. 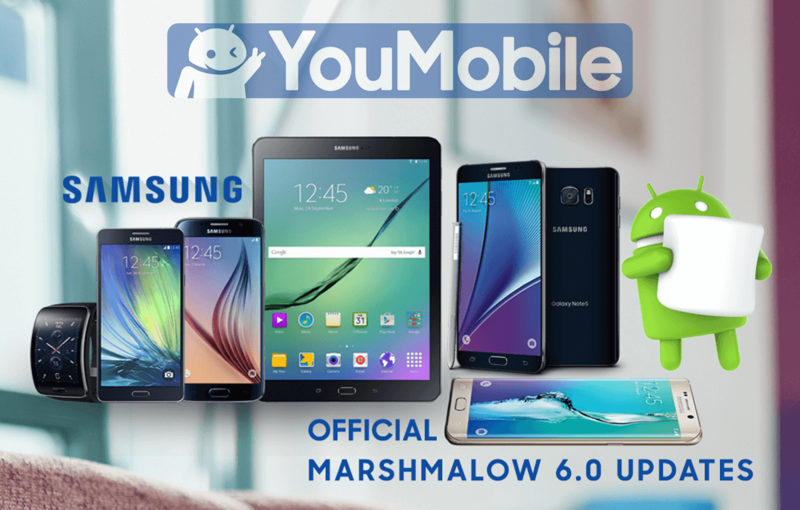 Follow Our Official Samsung Updates Page for More Info. 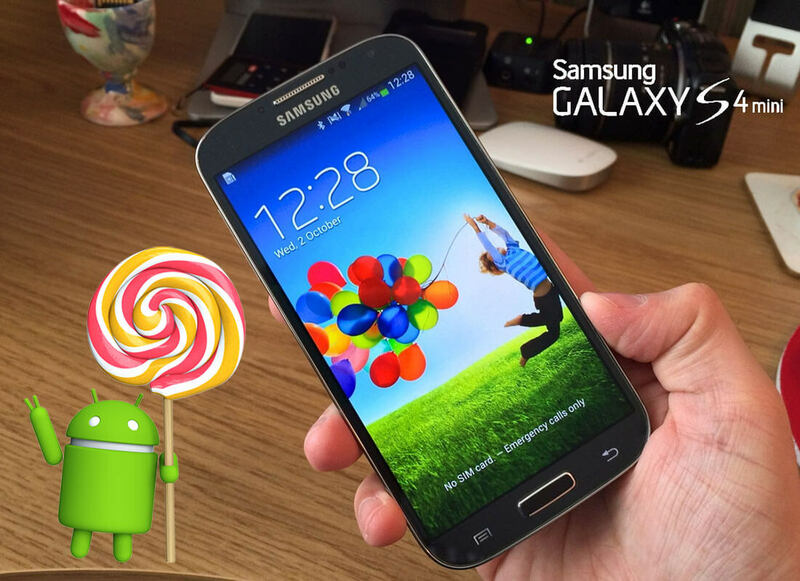 A major confusion happened yesterday when UK branch of "Three" carrier tweeted that the Galaxy S4 mini will not be getting Android 5.0 Lollipop update due to Memory limitation, after few hours "ThreeIreland" branch tweeted that the S4 mini update is approved and passed the testing process. Today, we reached out to Samsung to get a clearance about this. 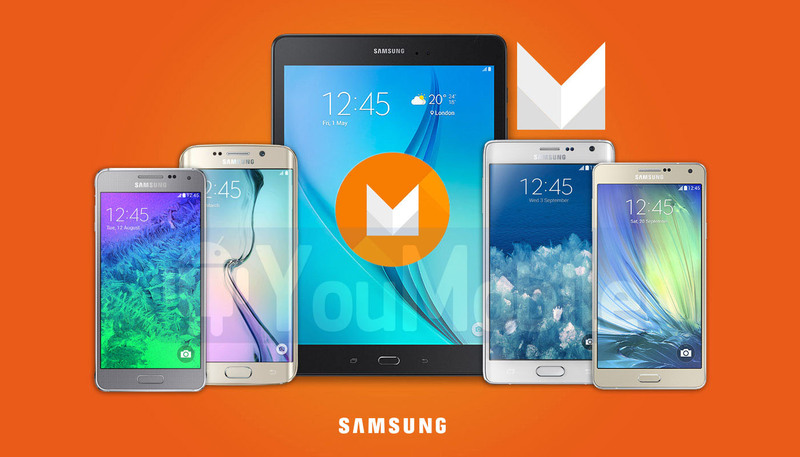 Low-end and mid-range users are NOT forgotten by Samsung, the Korean giant is working hard to bring Lollipop love to as many devices as possible, but time is tight. We reached out for more information from SamsungUK and ThreeIreland. Our Team got confirmation that the Galaxy S4 mini will indeed receive the Android 5.0 Lollipop update but didn't specify any date. @debbiebabes Hi Debbie, good news, that update has been approved and has started to roll out so you should receive it in the coming weeks. So far all the Information points out that ONLY the Unlocked Galaxy S4 mini will get Android 5.0 Lollipop update, ThreeUK and ThreeIreland won't Roll-out the update after the device has failed their final Testing. 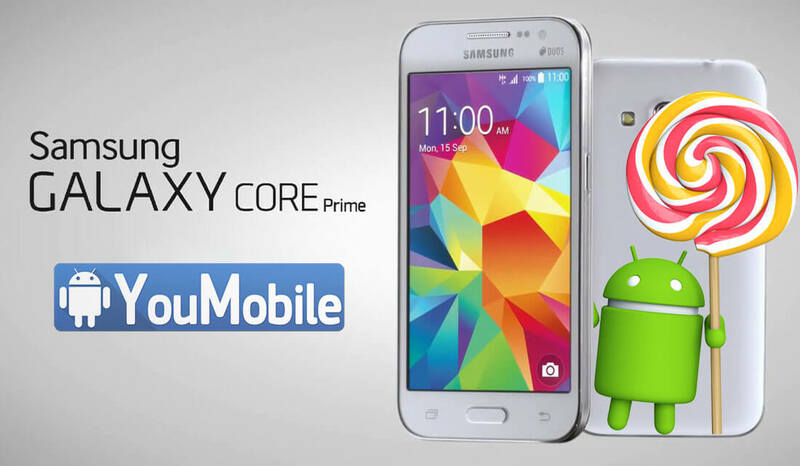 The Galaxy Ace family Lollipop updates should start later this year. As for the Galaxy S4 mini, according ThreeIreland and ThreeUK the update won't be rolling-out to these carrier's varaints, only the unlocked S4 mini will get the update. 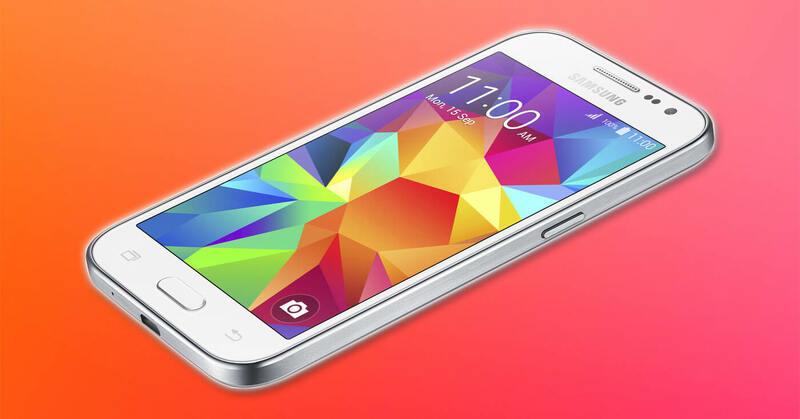 The S4 mini update has been officially canceled by Samsung, More details Here. 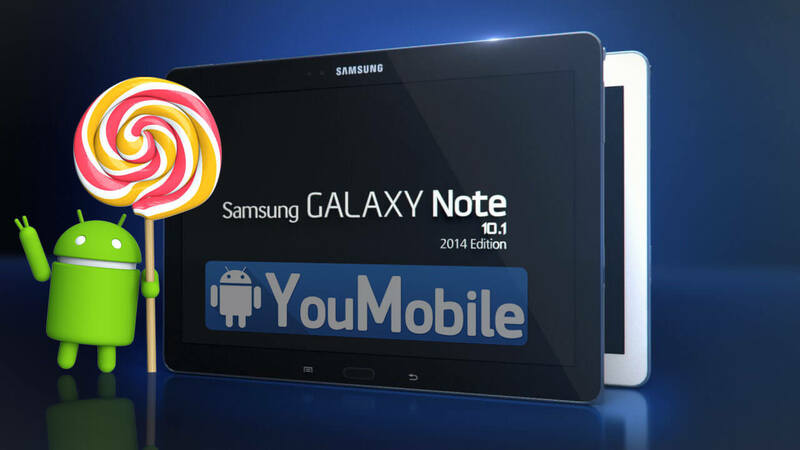 Samsung didn't forget it's loyal Galaxy Note 10.1 users. Today, we can confirm that the Official Android 5.0.2 Lollipop for Samsung Galaxy Note 10.1 2014 Edition (SM-P607) is confirmed and currently "In-development" which means Samsung is still working on building the update. The information came from the official T-Mobile website, mentioning that "T-Mobile and the device manufacturer have agreed to support a new software update." The developing of the Samsung Galaxy Note 10.1 2014 Edition Lollipop 5.0.2 update will take up to 1 month at least and another couple of weeks for testing. 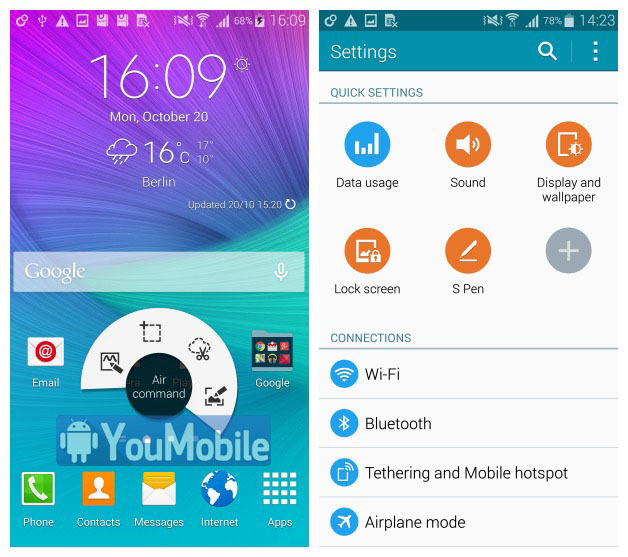 Android 5.0.2 Lollipop will bring New TouchWiz UI with Material Designs, New Apps, updated notifications Panel, New lockscreen and various bug fixes and huge performance enhancements to the 2 years old Note. For now Only the 2014 Edition of the Galaxy Note 10.1 will get the Lollipop Update, Samsung has no plans on updating the first Galaxy Note 10.1 that was released on 2013. Stay Tuned and Follow Our Samsung Official Updates Page for latest News. 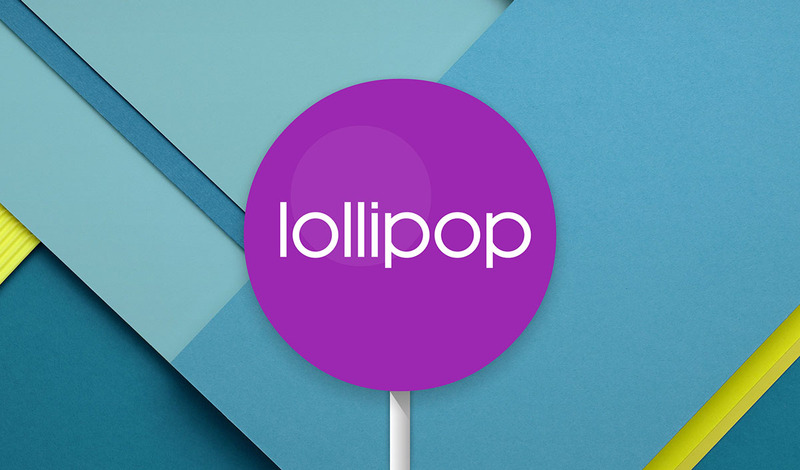 The Android 5.0.2 Lolllipop is rolling-out to the T-Mobile Galaxy Note 10.1 2014 Edition and Available for Download HERE. In an age and time when even premium flagship phones lose the eligibility for technical support after two years and lesser phones are forgotten much sooner, we have excellent news for you today. We knew that the Galaxy A (2016)-series was going to get the Nougat update from Samsung in 2017, but as it turns out, even the original Galaxy A-series isn't out of Samsung's support yet; at least not the A5 anyway. In an official confirmation, Australian carrier Optus has stated that a Nougat build for the original Galaxy A5 is at its testing stage. They further elaborated that an OTA update which will deliver the final build to the A5 original should roll out by the end of next month. 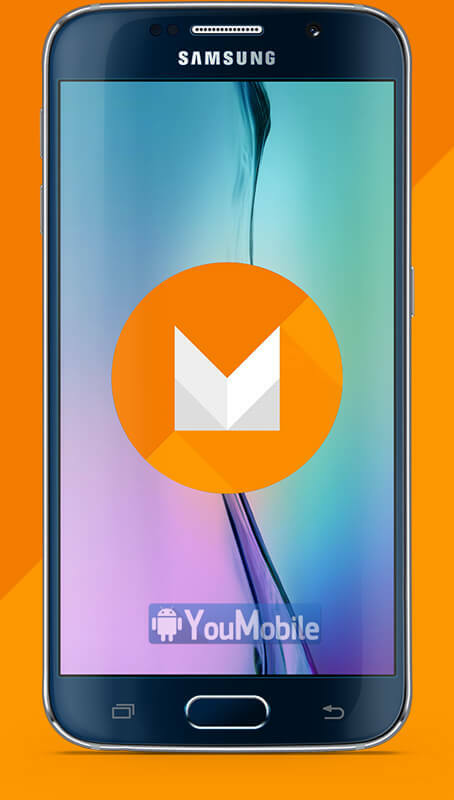 Considering that the Galaxy A5 has already received two major upgrades in the form of Lollipop and Marshmallow, the fact that it will receive Nougat is something that almost sounds too good to be true. 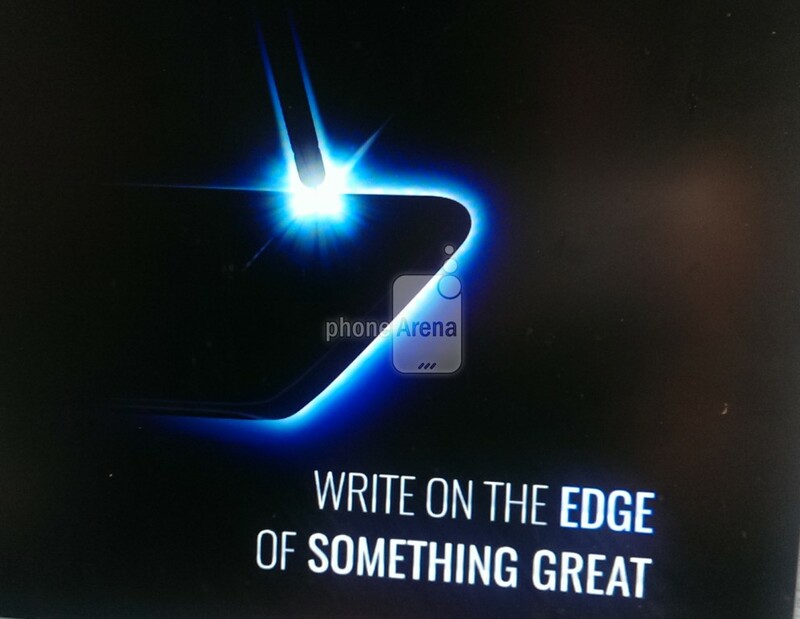 If you are wondering if the same will be applicable to the Galaxy A5 handsets in other regions as well, I guess that's something which we will just have to wait and find out. 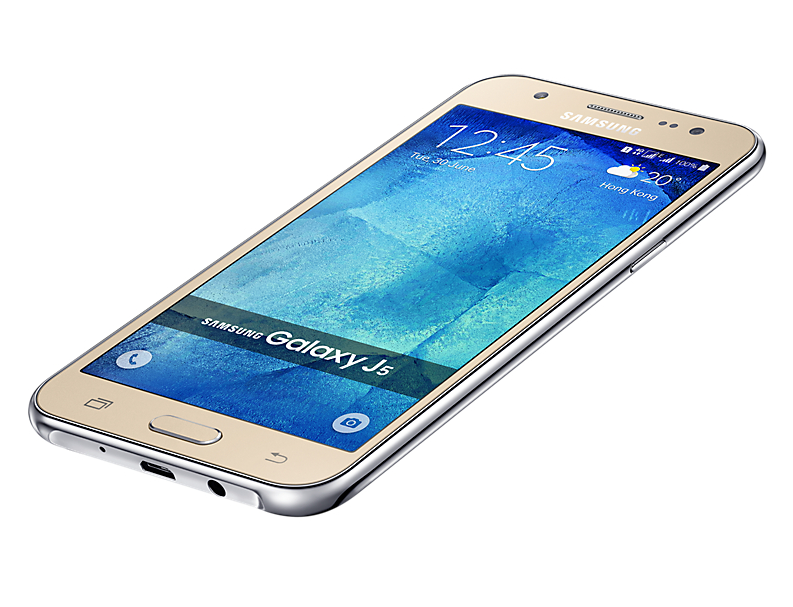 If someone had told me that Samsung is about to update the Galaxy J5 (2015) with its latest Android Nougat 7.0 update, I would probably think that he/she is confusing the J5 (2015) version with the J5 (2016). As it turns out, that is not quite the case and according to reports from multiple sources, the Galaxy J5 is indeed going to updated to Android Nougat 7.0 after all! If that news pleasantly surprised you, then you would be glad to know that we also have a date for you and that date is set on November 3, 2017. The details seem to be very legitimate and unexpectedly detailed; let's just hope that it really turns out to be true because it is always good to see Sammy looking out for some of its older low budget handsets. You can argue that November 2017 is a bit too late for Nougat, but as I always say, better late than never. Although it is expected that all models of the J5 (2015) will be getting it, the particular model number associated with the reports is SM-J500F. Just in case you want to check out the full list of scheduled updates, we have it for you right here.